PART II: Sacretherapy and The Law of Attraction-Can We Really Have What We Want? 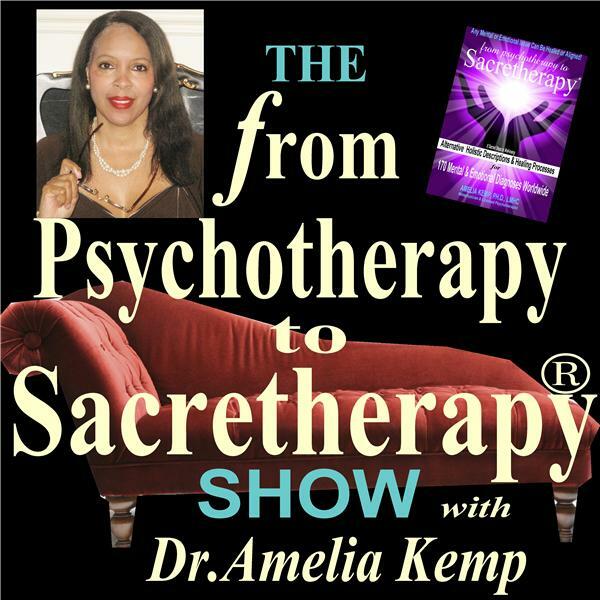 This episode is a continuation from last week where we began to discuss Sacretherapy and The Law of Attraction, and if we can really have what we want based on the claims from Dr. Kemp’s book; and the hit movie “The Secret” or What the Bleep Do We Know?” Dr. Kemp states the answer to that question is complex and asked listeners last week to review what they learned from Step One in her book about the “law of creation” as it relates to “energy, matter, and vibration” and will now move ahead this week with some specific “how to tools” from her book in Step Six on the “Pro-creation process;” which assures us that we can indeed create the happier versions of our lives that we always wanted. She states that many people are told they can live happier lives but are not told “how” and “why” it’s possible. Please feel free to view testimonies of others at www.drameliakemp.com (click the Testimonies link). You are also invited to call in during the show to ask a question or make a comment. Or you may send a question about the holistic and alternative healing offered in the book or a particular mental or emotional diagnoses that you or a loved one may have, and Dr. Kemp will offer her re-interpretation of it for you from the Sacretherapy® perspective from her book: From Psychotherapy to Sacretherapy® - Alternative Holistic Descriptions & Healing Processes for 170 Mental & Emotional Diagnoses Worldwide, right here on the show. The number to call is 1-347-677-0795 or use the form at www.DrAmeliaKemp.com by clicking the radio show link. Please“Like us” on facebook.com/DrAmeliaKemp.